If, like me, you enjoy playing your PC games with an Xbox One controller but are sick of being tethered to a computer, then the news that Microsoft will soon be releasing a wireless dongle to allow cable-free gaming will be more than welcome. 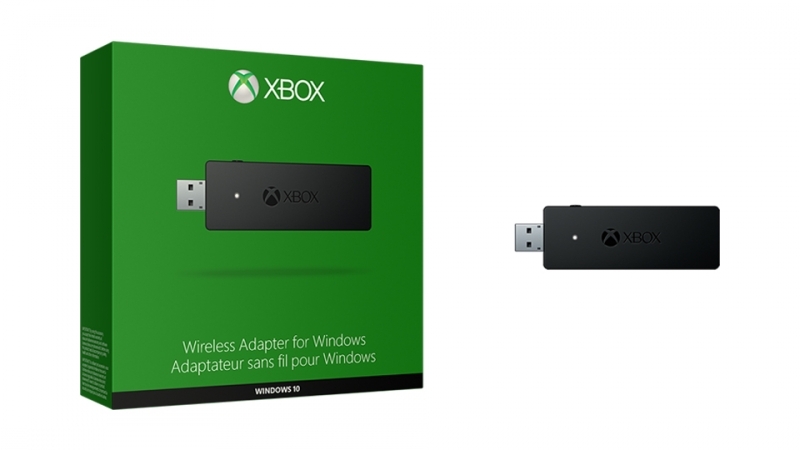 Set for release on October 20th and priced at $25, the Xbox Wireless Adapter for Windows can be plugged into any PC, laptop or tablet running Windows 10 to allow Xbox One controllers to work wirelessly. The dongle can also be used with Xbox One games streamed to the PC. The adapter has to be bound to your wireless controller and comes with a USB extender cable to improve its placement and accessibility. Using the adapter will also allow the controller to support in-game chat and stereo sound. Extend the USB connection to your Windows 10 PC, laptop, or tablet to enhance placement and accessibility to the Wireless Adapter with the included USB extender cable. For use with the Xbox One Wireless Controller or Xbox Wireless Controller and controller compatible games on PCs and Tablets running Windows 10 with USB 2.0 or USB 3.0. Not compatible with controllers designed for Xbox 360. Significant firmware update may be required; ISP fees apply. Please visit xbox.com/xboxone/controllerupdate for update instructions. Currently, anyone who wants to use the Xbox One controller with their PC has to connect the device to their computer using a micro-USB cable. There is a wireless gaming receiver available for the Xbox 360 controller, but most PC gamers would rather use the superior Xbox One device – even if it is wired. The upcoming Xbox One dongle isn’t compatible with controllers designed for the 360. In addition to news of the wireless adapter, Xbox One’s Mike Ybarra tweeted that controller remapping, a feature currently only available on the $150 Elite controller, will soon be coming to all Xbox One controllers.